Are you ever watching your baby niece or nephew, maybe you're even watching your own kid when you think, "Wouldn't it be nice to go back to that state just for a little while?" They get to sleep and eat while people lean over them and praise them for just hanging out and cooing. You've even seen them get a cuddle for pulling the cat's tail, now that's a great life. Sure, it's nice to have a little more control, nowadays you can order a coffee, in a mug, not a sippy cup. And you're eternally grateful you don't have to eat that pears and peas baby food every time you see someone feeding an infant that nightmarish slop. Mostly though, you just want to be a tourist in babe land. It seems nice to go back to that hairless innocent state when your tearful eyes seem freakishly large for your head. 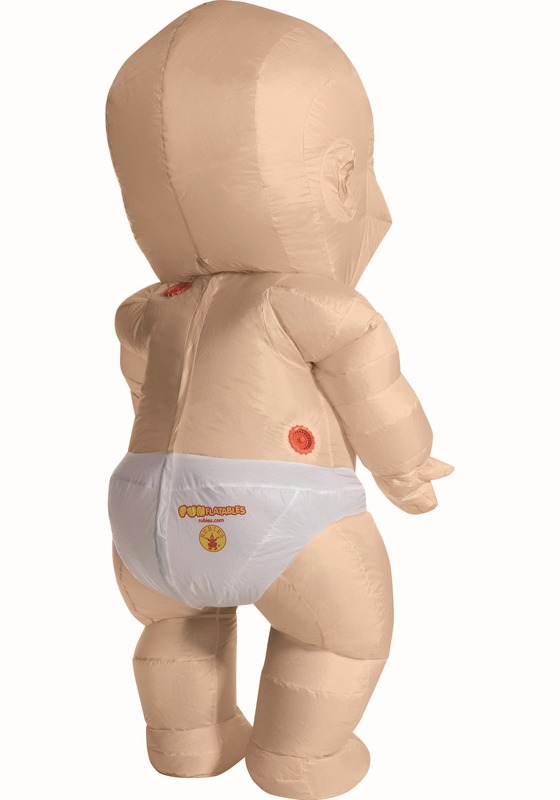 While we have no way of shrinking you down to that 10-pound kid you once were, we can make you appear to be a giant walking baby. Whether you'll be as cute as you were when you were an infant is not in any way guaranteed. 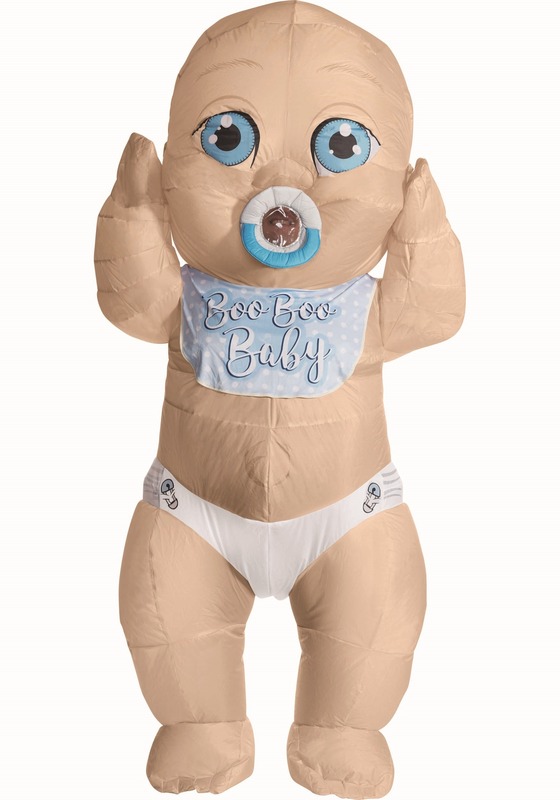 In this costume you just might feel like you were born yesterday. You'll not only get to be a baby again, you'll be the biggest baby anyone has ever met, hmm, has anyone ever called you that before? They say you can never go home again but there's no longer any reason you can't relive your infancy. We're excited for you, just don't make your sister try and fit you in the stroller with your niece, that's just a baby step too far. I bought this for my sisters gender reveal party after seeing something similar online and the one I received in the mail had a hole in it. We couldn’t use it, it is what it is, I bought it for one purpose and it didn’t deliver, maybe I got unlucky. Our apologies if it did not meet your expectations.